Just in case anyone have problem with a laptop either suddenly black screen when you try to turn it on or after you disassemble it and put it together or when you clean it taking our some parts and put it back … and so on. 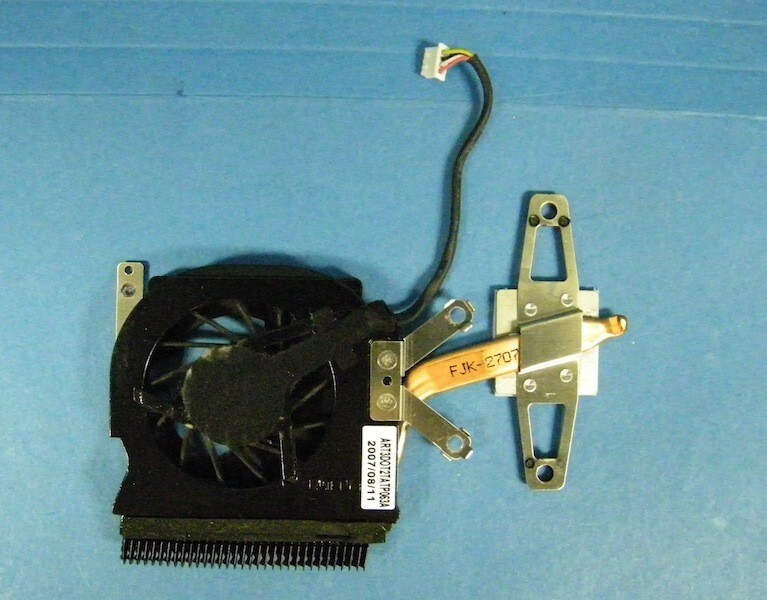 In my case with a HP 2510p laptop or notebook computer, it’s old and cpu fan are very very noisy look like it’s going to blow up or the hit going to get caught on something and blow up. So I thought I could either buy a new cpu fan and replace it or use the old fashion method I’ve been doing and using is to use W-40 for the fan to stop making noise. Be careful when using WD-40 for your laptop fan, ensure you totally removed the fan component only and first blow it with air clean, then spray with a little bit of lubricant such as WD-40 and clean the left over residue, clean it totally, spin the fan manually a few time or use the air blower to make the fan spin, and then wipe clean again, and carefully put back, use heatsink compound as needed for your cpu and video card chip … as needed. Some people said WD-40 conduct electricity, some doesn’t believe so, but the bottom line is any liquid get into your circuit board is a bad thing, so clean it carefully assemble it back in a way that the liquid will not drip into the circuit board. Turn the laptop back on, you will smell WD-40 for a while, but eventually will go away, if it doesn’t then live with it LOL at least you have a working cpu fan that is not noisy and back to operating normally again. In my case, I use this HP 2510p laptop for a live web video broadcast on stickam 24 hours a day. So I’m not on the laptop all the time. This entry was posted in Computers, Entertainment, Personal by admin. Bookmark the permalink.